Martwayne | Power Through Fashion: Procrastination! Always the Thief of Time! About Time I Posted my Backlog of Pictures.... Starting with MFC1a - Grp 3! Procrastination! Always the Thief of Time! About Time I Posted my Backlog of Pictures.... Starting with MFC1a - Grp 3! Imagine! Almost a month and I am YET to post those pictures. Like seriously?! And now that I'm ready to launch the FEC 5 campaign, I can't. Why?! Because you have no clue what happened at FEC 4....well except those who attended. So here I am saying enough is enough! Though I'm still on the hunt for the perfect ISP (turned out the new one wasn't so great after all...), I might as well make the best use of the modem I'm loaning right now. I have a few hours to go so let's see how far I get...starting with pictures of MFC 1a - GRP 3. 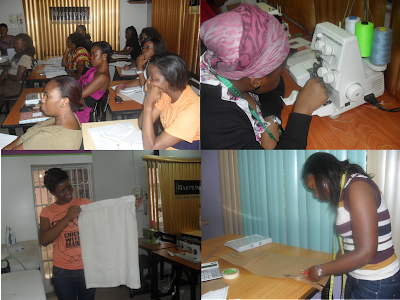 SO yet again, I started with a class filled with people who had absolutely no idea how to sew and wanted to learn or who had no clue how to start / had faced some form of challenge in their fashion business. As always, we started from scratch and after merely a few classes, a proud set of students emerged with their skirts... completely pleased with that extra step in the right direction. Of course, I'm still trying to get those who travelled or who just got caught up with work, exams and family commitments to complete the course but even they benefited from the few classes they attended. And from the feedback forms of those who competed the course, I believe yet again, my students were pretty impressed. Okay then! We're about rounding up the current stream of Level 1a and will post pictures when we're done with that. A new Level 1a stream will start on the 14th. Don't forget to sign up for the Basic Class or the next Foundation Class. The next set of pictures... 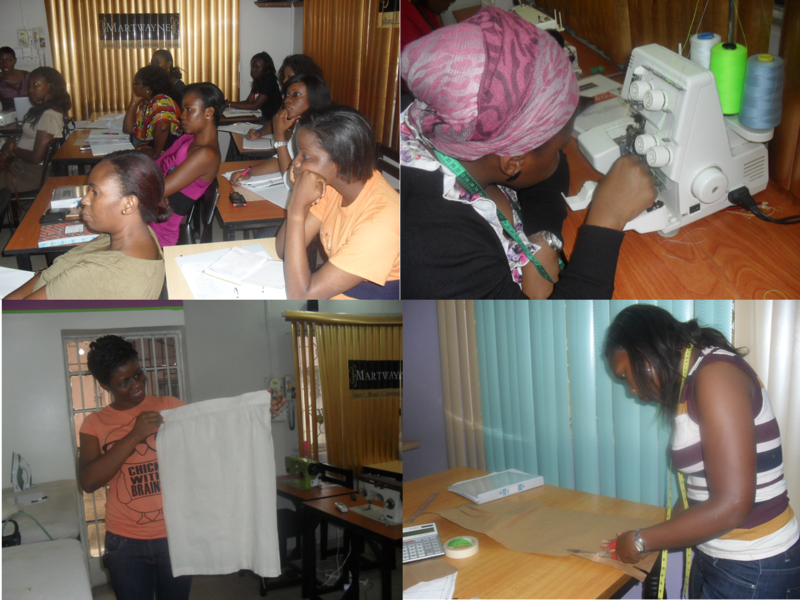 Fashion Entrepreneurship Course for Corps Members coming right up! Congrats ladies, I envy you all! By the way there was no guy in the class.......just wondering! Haha! Not in this particular class. But the previous stream had about 3 guys (check them out here: http://www.fashionbeyondstitches.com/2012/03/teacher-and-her-fabulous-students-to.html) and this current stream has 2.